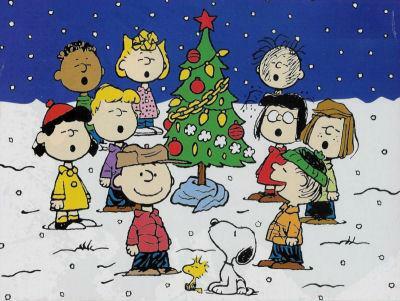 Charlie Brown’s Christmas remains one of my all time favorite stories that puts words and faces and images and truths to winsomely illustrate the great mystery of Luke, chapter 2. These engaging little children….a ragamuffin band of human beings if there ever was one….often mistreating one another….often judging one another…. often missing the forest for the trees…tenderly discovers that Christmas gratitude and grace offers the power to trump all differences…all opinions, all slights or hurts; presenting itself in the lowliest of trees dressed with a majesty fit for kings. As the holy days of Advent quickly bring us to the manger, I find myself overcome with gratitude and grace for so many of you who have chosen time and again to offer your love and grace to me…..Thank you. …. Thank you for being peacemakers and peacekeepers and grace givers when least recognized or deserved but profoundly appreciated. May you be the joyful recipient of unsurpassing peace and amazing grace uniquely gifted during this holy season - especially if you find yourself feeling a bit Charlie Brownish…. May you be embraced by extravagant Grace, humbled by limitless Gratitude , and lifted by triumphant Love…. And in that holy moment may you trustfully relinquish your fears, painful judgments, and hurtful prejudices to the miracle at the manger…. Gratitude and Grace to you….